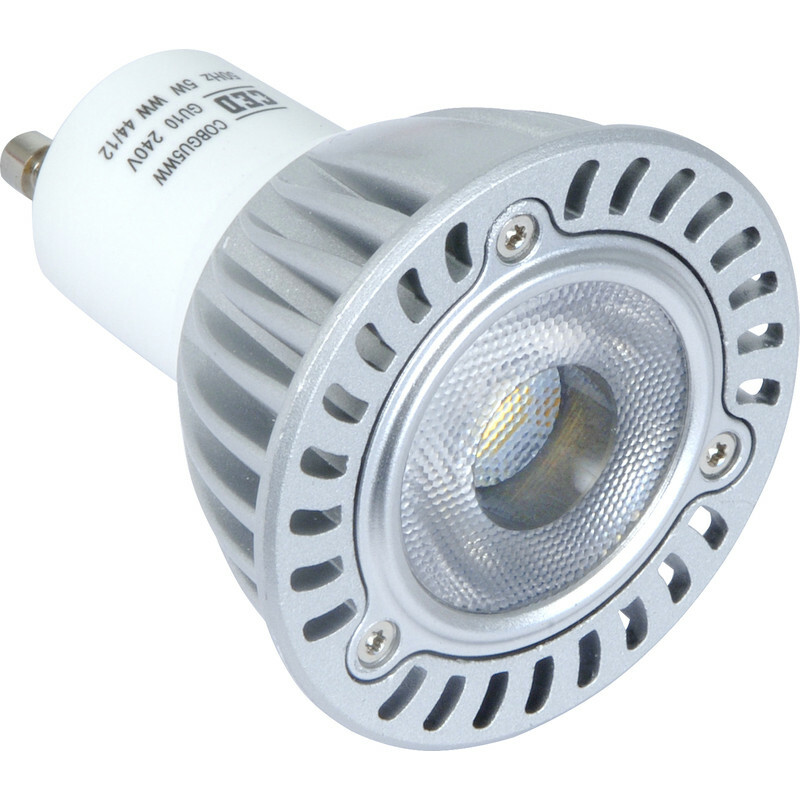 LED COB Lamp GU10 5W Cool White 360lm is rated 4.7 out of 5 by 7. Rated 5 out of 5 by Smithington from Bargain but decent leds Bought 3 on sale, to replace incredibly dim and dated leds. So pleased, I went back for 6 more! These are plenty bright and fairly cool coloured, giving good coverage thanks to the lens / diffuser thing on it. Rated 4 out of 5 by Tarun from Happy with the quality of the lights Liked the GU10 LED lights which I ordered. Fitted into the valves perfectly. The lights looks sturdy and durable. Rated 5 out of 5 by Fathead from The price is right These are a great little device, bought for the shed to reduce the temperature from the standard gu10 halogens and it feels so much better, and for the price you cant go wrong. The only problem i had was the boxes were all labelled cool white and i received 2 cool white and 2 warm white but as its in the shed i wasn't too bothered. Rated 5 out of 5 by Scouseneil from Super Bright pure white OK, well not daylight temp but these are white. Replaced bathroom Halogen 50w and these give a clean bright light. Ideal for Kitchen, Office and Bathrooms, I go with a warm white for living area.